Lord knows that glowing iPhone X screen is easy on the eyes, and that might be why you can’t put it down. Apple, in a move similar to Google’s announcement at its own I/O conference, is rumored by Bloomberg to be announcing a new feature called Digital Health that will give users a peek into their smartphone habits, showing them where they spend time on their iOS device. Google’s “Digital Wellbeing” feature, which will be coming to Android P, gives users detailed breakdowns as to where they spend the most time, and grants control over how much time one is allowed to spend inside an app. Consider it a success if Apple at least matches Google in this arena. The feature doesn’t seem particularly complicated, so there’s no reason to believe Apple wouldn’t include some form of time management software in its next version of iOS. It provides Apple with some good publicity, requires less time to implement than a user interface overhaul, and would also allow Apple to square up against Google on the health and wellness front, where Apple usually holds the lead. Definitely. It’s an easy win for Apple, and will surely appeal to users looking to pull out their phone less and rely more on the expensive Apple Watch on their wrist. The Apple Watch could use some new faces. You might love your Apple Watch, but the available watch faces leave much to be desired. 9to5Mac reported on a bit of code found in watchOS 4.3.1, containing the log message “This is where the 3rd party face config bundle generation would happen.” While “3rd party” could simply mean a watch face made in collaboration with Nike or Hermès, I look forward to the possibility that developers will be allowed to make my Apple Watch experience a little different. Maybe. Code often hints at future features, but a single, ambiguous code comment isn’t enough to place any bets on whether or not we’ll see some new watch faces. Rumored details about the upcoming version of macOS have been sparse, but one feature, cross-platform iOS and macOS apps, seems to be the biggest change coming to the desktop operating system. Conflicting reports from Daring Fireball and Bloomberg suggest that while Apple is indeed working on a framework making it easier for apps to share a user interface that would work on both iOS and macOS devices, it isn’t as innovative as it might seem, and might be just the start of a longer play for further blurring the lines between iOS and macOS apps. It could also be tied to Apple’s rumored ARM-based macOS device, but it may be a long ways away considering Apple’s focus on fixes instead of features. A couple of iPads, which Apple is pushing as a low cost alternative to a laptop. You can’t go wrong debuting a new low-cost MacBook, but adopting a brand new processor architecture in its notebooks could go either way for Apple. The company has successfully switched processor architectures in the past, moving from the AIM Alliance-created PowerPC processors to Intel’s processors in its desktop and laptop computers. Another change would be pretty disruptive, and might effectively mean the end of an era for Hackintosh computers, but the trade-offs in terms of performance, power management, and easier integration with iOS apps could be worth it. Unfortunately while an inexpensive iPad with Apple Pencil support debuted earlier this year, the much-anticipated low-cost MacBook Air is rumored to be again delayed due to processor-related issues. Not likely. With rumors primarily focusing on the delay of a cheap MacBook, along with Apple’s focus on fixes, this might be more likely to happen later in the year rather than the next few days. Bloomberg’s Mark Gurman expects WWDC 2018 to be light in terms of hardware, but it might still include some slight updates to Apple’s line of MacBook laptops. Apple is definitely working on updates to its MacBook Pro and 12-inch MacBook line with some current-gen Intel processors. 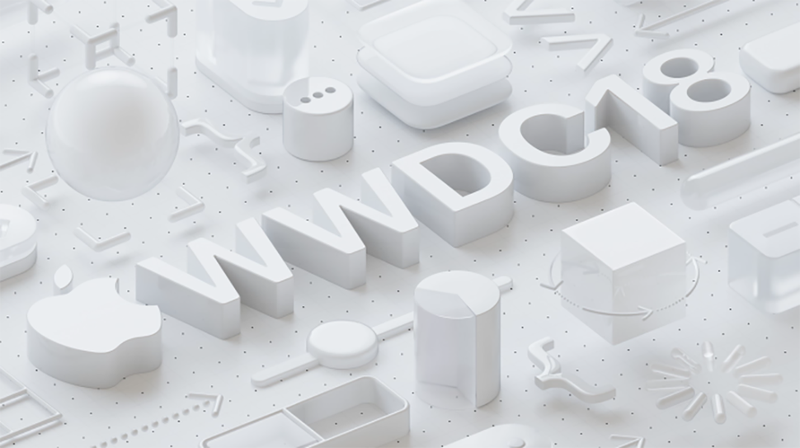 If they’ll actually show up at WWDC, and aren’t held for later, remains to be seen. While Bloomberg believes they’ll be a no-show, the laptops were refreshed at WWDC 2017. Maybe. Apple’s MacBooks are getting a bit long in the tooth, and a processor refresh (along with some slight keyboard tweaks) could make it a bit easier to deal with the compromises inherent in Apple’s notebooks. Sure, the cheapest iPad Apple has ever made just came out a few months back, but we could see a new high-end iPad at WWDC. What should you expect? Not much, according to KGI Securities analyst Ming-Chi Kuo, though the new iPad Pro could feature Face ID support thanks to a TrueDepth Camera. The last iPad Pro announcement occurred last June, so now might be the perfect time to release, or at least announce, an updated tablet to keep customers interested. Maybe. Apple announced a refreshed iPad Pro last year, and a new one would make it easy for consumers to pick a current-generation iPad at any price point and walk away happy. iOS 12 would definitely benefit from a fresh coat of paint, especially since Google continues to refine and improve its own Android operating system at a pretty fast clip. iOS 12 could see deeper integration with macOS apps, but a redesign might be off the table for now. What you can expect are improved parental controls and more augmented reality features, according to Bloomberg. Still, all signs point to “no,” as the company has seemingly shelved its biggest design changes, opting to focus more on bug fixes and improvements after suffering from a pretty rough year in terms of broken features, buggy software, and security flaws. Making 2018 a rebuilding year after dealing with issue after issue in 2017 affecting both iOS and macOS devices might be the best play Apple’s made since it released Snow Leopard in 2009. Not likely. Apple’s got enough on its plate in terms of making improvements to its current version of iOS. The iPhone 8 in red. Apple’s tiny, inexpensive iPhone SE might get a sequel in the form of the iPhone SE 2. We saw evidence Apple was at least thinking about the low-cost smartphone, dubbed iPhone SE (2018). A report from BGR also suggests the new SE could sport wireless charging, and be missing a headphone jack. Great. No one’s really sure when the iPhone SE 2 will be available, but the consensus seems to be “in 2018.” Apple also recently registered 11 new iPhones, meaning we might see a new assortment of low-cost iOS devices to match Apple’s love of high-end hardware. Maybe. There’s enough evidence to support the debut of an iPhone SE 2, though it would seem a bit out of place considering the fact that it’s a low-end iPhone. A new version of Apple’s WatchOS will most likely make an appearance, and should bring with it some additional features making the temporary abandonment of your iPhone when you go for a run more bearable. The rumored StreamKit API will allow users with LTE-equipped Apple Watches to stream media (like music) to the device, cutting out the middleman that is your phone. A new, official WatchOS app from Spotify may steal the show, however. While Apple and Spotify are indeed competitors in the streaming music space, Spotify is at a disadvantage when it comes to integrating with Apple products, as it lacks a proper Apple Watch app. Right now, you can use your Apple Watch to control basic playback options from Spotify on your phone, but that’s about it. The StreamKit API gives Spotify an opening, but it may not be able to take it. Samsung paid a lot of money to make Spotify exclusive to its wearables—which is why you don’t see it on Fitbit either. So unless something has changed recently, Spotify will likely not be joining other services that are streaming straight to the watch. Not likely. Apple’s rejection of Valve’s Steam Link app, along with Spotify’s exclusive agreement with Samsung may force us to wait another year for Spotify’s native Apple Watch app.